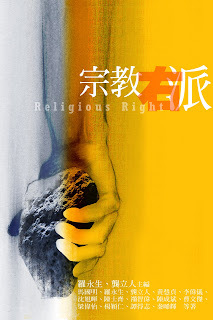 黃厚銘,( 2000.06)，《網路人際關係的親疏遠近》， 台大社會學刊, Vol.0, No.28, pp.117-154. Angela Philips and Jill Rakusen （1978）. Our bodies; ourselves: a health book by and for women / Boston Women’s Health Book Collective. Harmondsworth, Middlesex. England: Penguin. Jeffery Weeks（1985）. Sexuality and Its Discontent: Meanings, Myths, and Modern Sexualities. London: Routledge and Kegan Paul. John Berger（1972）. Ways of Seeing. London: British Broadcasting Corporation and Penguin Books. Kate Millett（1970）. Sexual Politics. New York: Doubleday. Michelle Foucault（1995）. Discipline & Punishment: The Birth of the Prison. New York: Vintage Books. Nicholas Mirzoeff（1962）. Bodyscape: Art, Modernity and the Ideal Figure. London and New York: Routledge. Zygmuant Bauman（1989）. Modernity and Holocault. Cambridge: Polity Press.